The Stables01263 715779work01603 870304fax Self-cateringBased in Happisburgh which is famous for its stripy lighthouse, the Stables is a spacious and well laid out property. It is only a short walk to the sandy local beach, a short drive to Mundesley Sands or other east coast beaches and within reach of Great Yarmouth and the Norfolk Broads. 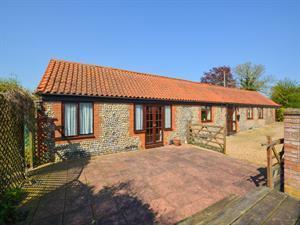 Based in Happisburgh which is famous for its stripy lighthouse, the Stables is a spacious and well laid out property. It is only a short walk to the sandy local beach, a short drive to Mundesley Sands or other east coast beaches and within reach of Great Yarmouth and the Norfolk Broads.